The busy holiday season will soon be upon us once again. Now is a good time to begin planning on how to improve upon last year, what should stay the same and what you would change. The holidays can be a stressful time with more things to do than hours in the day. This month's newsletter has a few tips on making it as stress-free as possible and ideas on organizing gifts that keep giving all year long. My hope and prayer is that you and your loved ones will have a joyous Thanksgiving and holiday season! 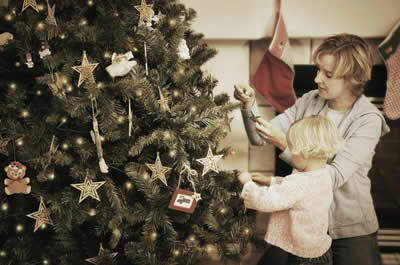 Why is it that the holidays can be both the most joyful and most stressful time of the year? We should be thinking about being thankful, peace on earth, goodwill toward all people, and the start of a new year. Unfortunately, many of us are caught up in unreasonable expectations for our holiday gatherings. We think that if we just do everything right, this holiday will be "perfect." Well, wake up and smell the Yule log! There is no such thing as a perfect holiday - not in real life anyway - and expecting one just sets you up for disappointment. Take an honest look at your true priorities this holiday season. Decide what this time of year means to you, what you want and don't want to happen this year -- and make choices ahead of time about how you will spend your time, money, and energy accordingly. Create a "Not to Do" list this year - things that you've felt pressured to take care of in the past, but you really don't enjoy and aren't critical to you enjoying the holiday. You may find that the chores that are left are easier and more enjoyable. Keep track of what works and what doesn't this year. Then take steps to repeat your successes and correct any problems next year. Making conscious decisions about how you spend your resources - your time, effort and money - you can choose the kind of holiday you want. Looking for the perfect gift this holiday season? Could someone on your list use a gift that can help them de-stress and spend more time doing what they love? Specialties include residential organizing - any room of the home, home office organizing (normal household business as well as professionals who work out of the home), relocation services - preparing a home to sell, packing, unpacking, and setting up a house to feel like a home. We can help you get ready for the upcoming holidays in preparation for house guests and put away your holiday decor afterwards in the most organized fashion! Here's a recent note from Jessica, a client that I worked with extensively in the past year: "I just wanted to thank you for ALL your help organizing everything in my house from top to bottom! It has made such a huge positive influence on my life, and I am so grateful. It definitely makes things easier to find. Thanks again and God bless you!" It's always nice to receive heartfelt notes like this from clients who have become friends. I am truly thankful for the many wonderful people I get to know through this work and can make a living doing what I love to do. Just give us a call and see if we're the right fit for YOUR needs. Easily manage your time with simplicity and in style. The four sides of the cube simply state the minutes that you would like to start timing. Turn it on the side needed and it will immediately start timing. When the time is up, a loud, unmistakable alarm will ring. Organize all your important papers in one portable system and prevent chaos in emergency situations. Ingenious way to display & collect up to 50 kids masterpieces in art cabinets. Ideal for small shredding chores - I like to keep one in my kitchen drawer for junk credit card offers, etc. 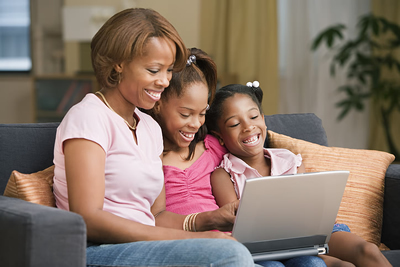 Positive parenting program that provides busy parents with a tool to start teaching accountability and responsibility. Unique time management tool I've personally used for about four years now. Love it! Compartments offer a bird's eye view so you never have to dig for anything - I've used a Butler Bag for about two years now and it really works! Stylish, alphabetized mini-card file that fits right into your purse, briefcase or car console. Getting organized is all about cleaning out items you don't need but that doesn't mean that everything you don't want has to go in the trash. Be sure to sort recycleables - plastic, glass, old magazines, catalogs, batteries and more. Your garbage pick-up service may take many of these items to be recycled; other can be taken to local recycling centers. Visit Earth911 to find a center near you. Make room for Thanksgiving leftovers and holiday party trays. Check expiration dates and toss anything that's past its prime. Pay particular attention to your freezer - it's easy to forget what you have in there! According to the FDA, foods frozen at 0 degrees Farenheit will remain safe indefinitely but the quality may suffer over time. See the USDA website for recommendations on freezing and storing food. Even more holiday planner pages are available here. nothing less than heaven on earth.